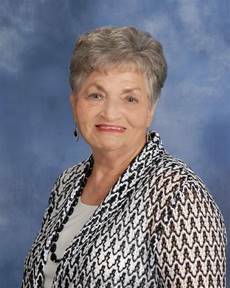 Mary Elizabeth Reasonover, 82, of Hendersonville passed away Monday, July 30, 2018. Born in Fountainhead, TN, May 6, 1936, she was the daughter of the late Harvey Lee and Audrey Pauline (Nelson) Wheeler. She was also preceded in death by her husband of 48 years, Robert L. Reasonover, and a sister, Marie Shannon. Mary had been a longtime Goodlettsville resident before moving to Hendersonville where she had been an active member of the First Baptist Church Hendersonville for more than 20 years. Mary loved to cook and was considered one of the best cooks around. She derived much enjoyment out of “loving on others” through the gift of her food. She was a devoted wife, mother, grandmother, great-grandmother, sister and friend. She leaves to cherish her memory, her children, Carol Ann (Rodger) Reed, Tim (Judy) Reasonover, Sandra (Karl) Huddleston, and Charles (Emily) Reasonover; her grandchildren, David M. Turner, Donald Jones, Billy Lee, Laura Huddleston, Amy Huddleston, Anna Pheiffer, Lee Reasonover and Robert Reasonover; her great-grandchildren, Reily and Dalton Jones and Rion and Hinson Reasonover; and her sister, Myrtle Aline Speakman. Visitation will be held Friday from 9 AM until 12 noon in the chapel at First Baptist Church Hendersonville with a Life Celebration Service at noon also in the chapel. Interment for family will be held at Forest Lawn Memorial Gardens, Goodlettsville. Loved seeing you dance at Anna’s wedding. We are one of the ones you loved on with your kindness and delicious meals. What a blessing you were to us. We will miss you. Godspeed dear Mary.